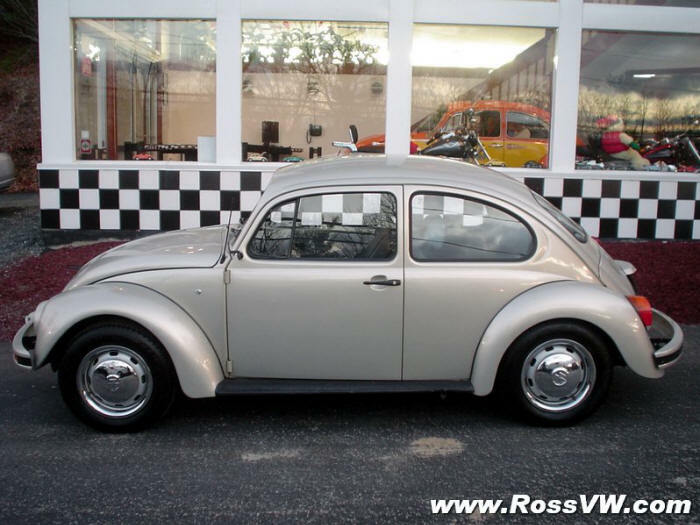 VW continued production of the original air-cooled beetle in Mexico all the way up to the 2004 model year, ending production with a special "Ultima Edicion" (Final Edition) of which only 3000 were made. 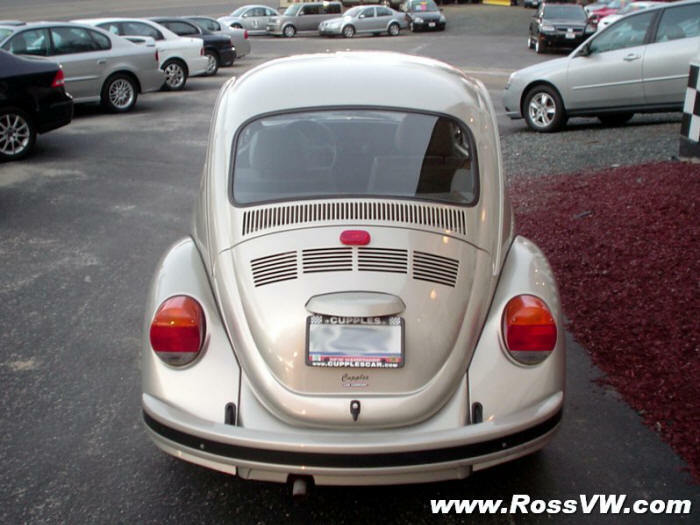 This particular beetle is a 1998 Mexican production beetle installed on a 1968 pan. 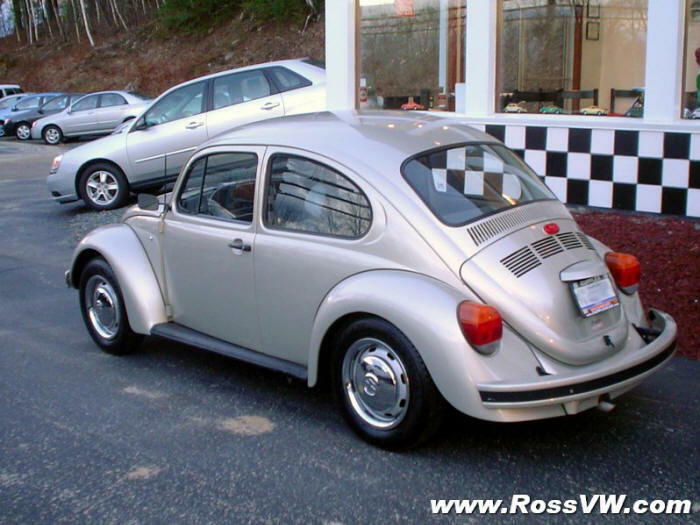 The only legal way to posses a Mexican production beetle in the USA is to use an early VW beetle pan and wholly restore it with the body/engine/interior/etc. of a Mexican vehicle. 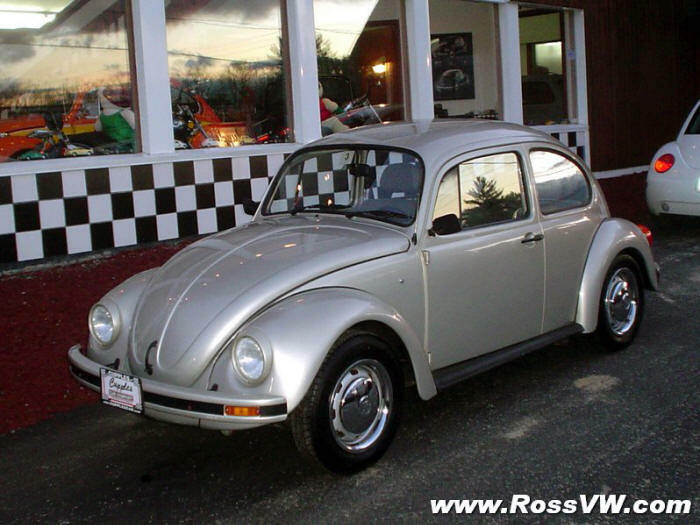 There were a few companies that made a business out of "restoring" older beetles with Mexican cars throughout the years. 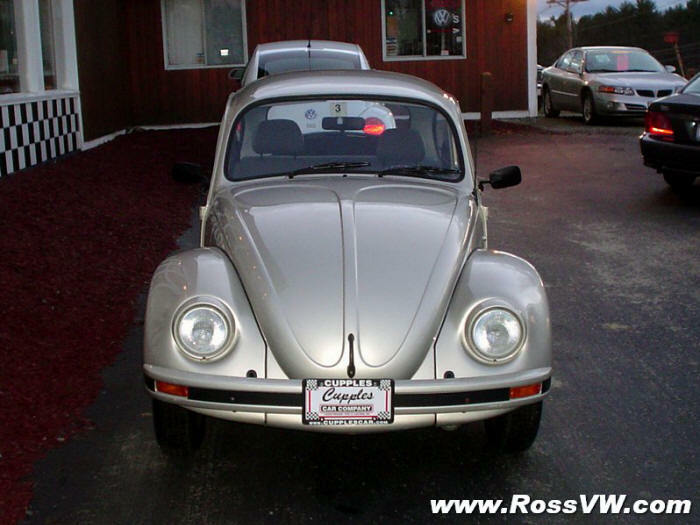 This beetle was one of about 10 done by a company in the mid west back in 2000. Beetlmex, a company out of Nogales, Arizona is still in the business of bringing Mexican beetles to the US- and is a great source of Mexican production parts for beetles. My '98 has only 26,000 original miles and runs like a top! It is also a pretty rare color, "Plata Tornasol" which loosely translates to "Silver which returns the Sun." It is actually the same color used on some Audi's in the states called "Melange Metal". In the right light, it is kind of a flip-flop from silver to gold. Very sharp looking color. It's neat to see what changes were made as these cars were still being produced in Mexico. 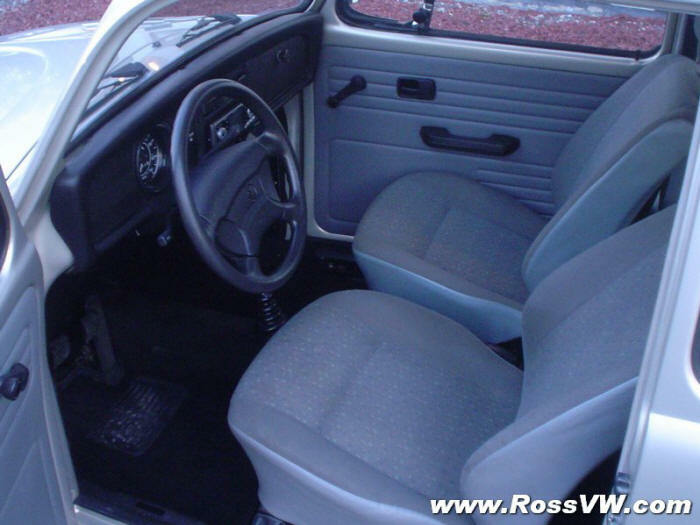 Note the lack of chrome trim and side moldings, black mirrors, no crescent vent behind the rear window, painted headlight rings, and color matched bumpers (with integrated turn signals)- not to mention a more updated modern interior. It has a 1600cc fuel injected engine with swing axle transmission. Car also has a 3-way catalytic converter, and single outlet exhaust.